With a sufficient number of participants now enrolled in the Actos Resolution Program, manufacturer Takeda has announced the company will move forward with the resolution process. The resolution program, which was proposed by Takeda to settle a growing number of lawsuits against the company, has reached a participation mark of 96 percent of eligible claimants. That number of claimants is now enough to trigger a $2.37 billion payout by Takeda, which will rise to $2.4 billion if it is determined 97 percent or more meet eligibility criteria. The settlement was originally proposed in April 2015 by Takeda, in an effort to resolve litigation against the company involving their type 2 diabetes medication Actos. Plaintiffs involved in the litigation claimed that Actos use led to an increased risk and many diagnoses of bladder cancer. The Actos settlement will also resolve seven of nine lawsuits that were previously tried in court and have been in different stages of the appeals process. One case had been decided in favor of plaintiffs and has been appealed by Takeda, while another was ruled in favor of Takeda and is being appealed by the plaintiffs. In announcing this settlement, Takeda has not admitted liability for any of the injuries alleged and has repeatedly stated the lawsuits are “without merit.” Takeda continues to stand behind their drug, noting that Actos is still prescribed to patients with type 2 diabetes that are facing challenges in regulating their blood sugar levels. 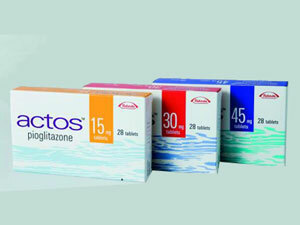 Actos works for this purpose by making the body more sensitive to the effects of insulin to normalize blood glucose levels. However, reports of serious side effects linked to Actos have concerned physicians, the general public and the FDA for some time. In 2011, the FDA issued a safety communication warning that use of Actos for longer than one year may be associated with a higher incidence of bladder cancer. At that time, the agency warned against prescribing the drug to patients with active bladder cancer or a history of the disease. In the meantime, patients who had developed bladder cancer while taking Actos began filing lawsuits against Takeda, alleging the company failed to provide proper warning of the risk on the product label. As the lawsuit number continued to grow, federal cases were coordination into multidistrict litigation in U.S. District Court for the Western District of Louisiana. The MDL, which was established on December 29, 2011, was created for cases with one or more common questions of fact for the purpose of streamlining early trial proceedings. For the plaintiffs that claim to have been injured as a result of their Actos use, this settlement will provide compensation for medical bills, lost wages and other non-economic losses.